Watch full One Piece Season 15 Episode 42 English Dubbed full HD online. One Piece Episode 558 English Dubbed online for free in HD. King Neptune watches in shock over the sight of the giant ship Noah as Fukaboshi asks what is so important about a relic of the past, but the king replies that the ship must not be damaged no matter what. Luffy and Hordy continue their fight with Luffy getting the upper hand with Haki and Hordy’s attacks being ineffective against Luffy. Then the ship Noah looms over the plaza and everyone who is fighting in the plaza now notice it. As the ship gets closer, Wadatsumi falls from the ship and onto the plaza. He shouts at Vander Decken to stop the ship or he’ll die. Vander then shouts out his desire to kill Shirahoshi and everyone in Fishman Island because of her rejection. Hordy is furious over Vander Decken’s betrayal. Shirahoshi is worried that the ship will kill everyone and so decides to use herself as a lure to divert Noah’s course away from Fishman Island. 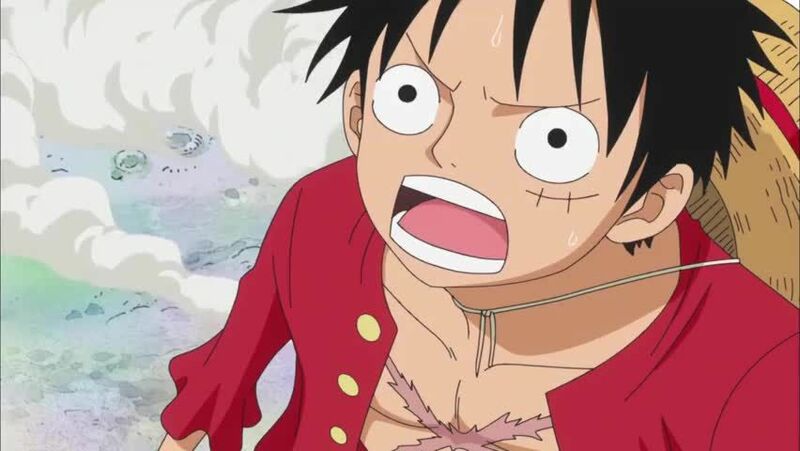 Luffy decides to follow her to protect her while Hordy grabs on to the giant chains to get revenge on his supposed ally.